Kambos. 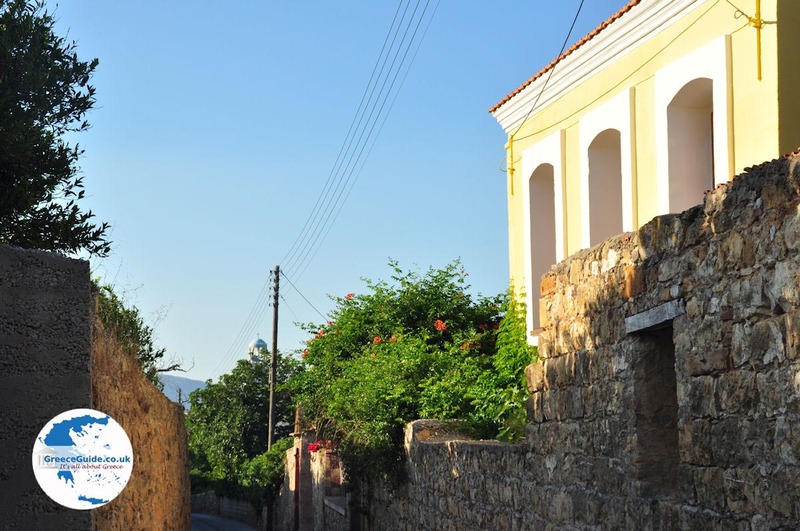 Kambos is a rich hamlet on the island of Chios, located southwest of Chios town. 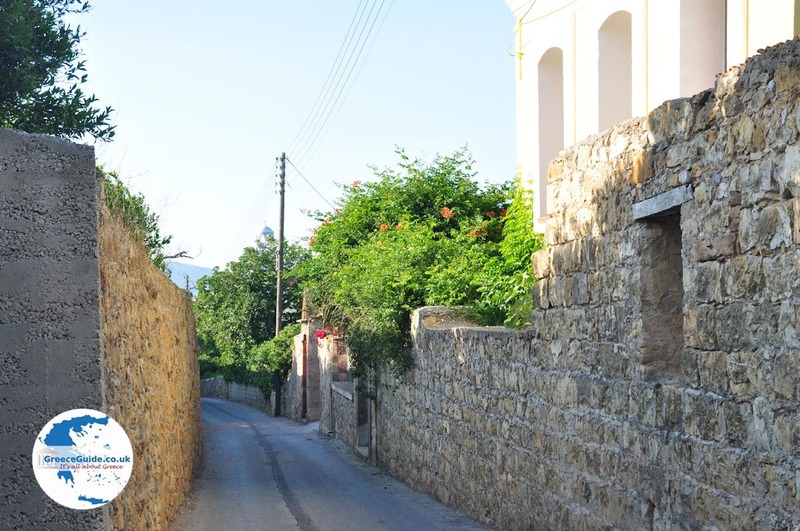 Kambos is situated about five kilometres south of Chios near Chios Airport. It is surrounded by a fertile plain. The wealthy islanders lived here since the 14th century. In the 14th century the Genoese were the first to have their mansions here. It was the area where citrus grew in abundance and where silk was produced. 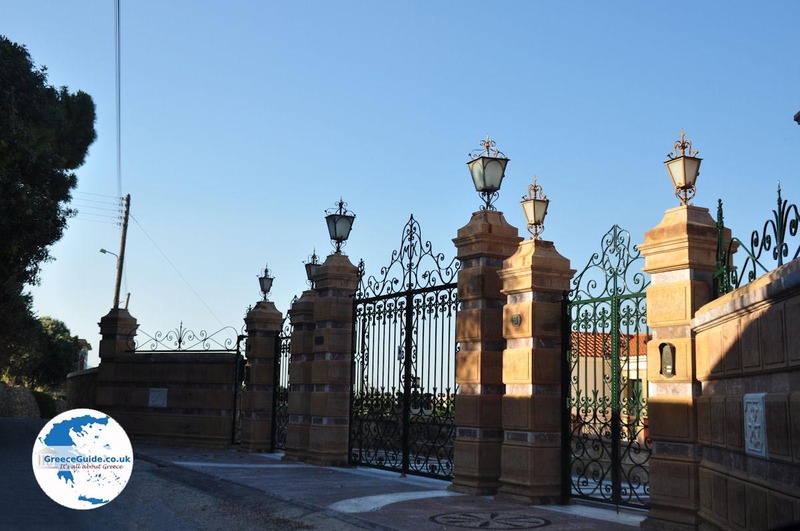 Wealthy merchants built their mansions, this area led to prosperity for the whole island. Also, many prominent Greeks have had and continue to own mansions here . Until the end of the 19th century, this area experienced great prosperity due to the exports to Europe, Asia and India. 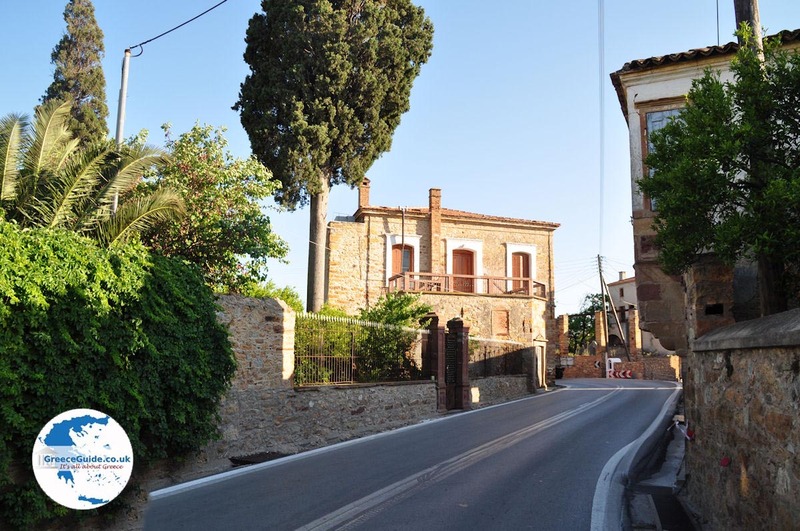 Characteristic of this village are the high walled plots containing the posh mansions surrounded by lush gardens. 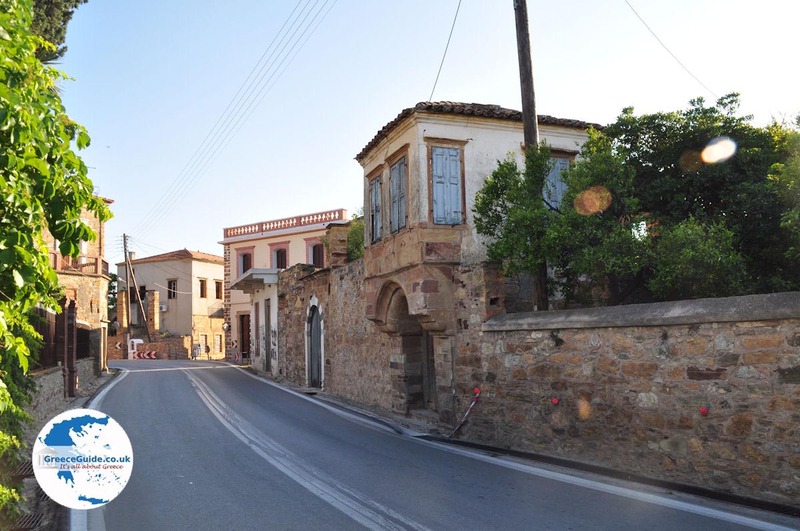 The whole area is protected by the Municipality of Chios and the Greek State, everything should stay in its original style. Expense has not been spared by the owners of the mansions in order to make the houses as beautiful as possible. The balconies are supported by small arches, colonnades of marble pillars, arched windows, everything is stylish. In the flower gardens there are ornate fountains with marble reliefs. Some mansions with their gardens may be visited, some of which are rented to tourists. 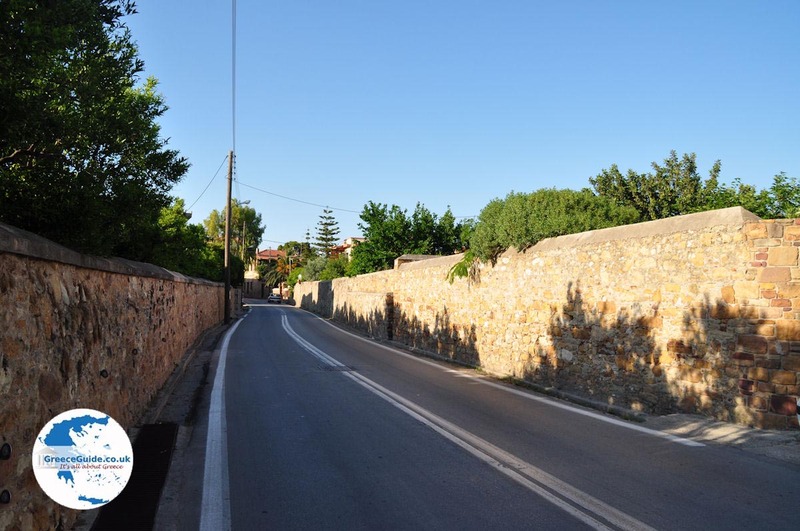 The streets of the village are very narrow, it is a maze of high walls where you can see many beautiful high gates. Peeking over the walls you see the houses that are two to three floors high. 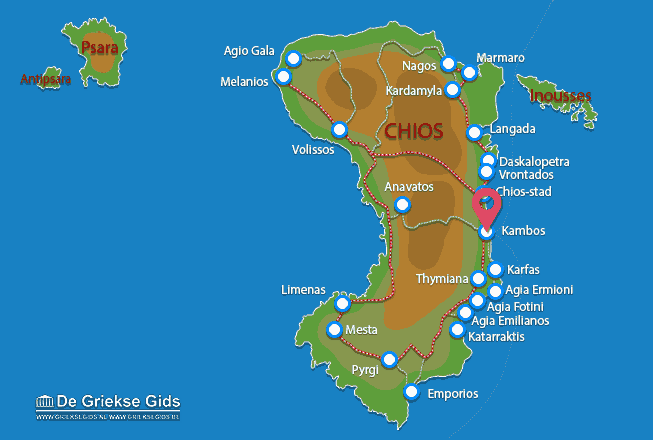 Chios: Where on the map is Kambos located?